Earilier in 2006 The Friends of Devonport Park & Plymouth City Council held their first Open Day, in Devonport Park on Saturday 4 March. 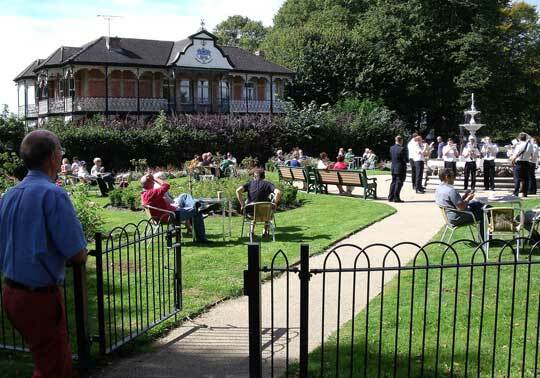 The event was funded from three sources; the Heritage Lottery Fund, Plymouth City Council and NDC funds; its purpose was to consult the community on restoration plans for the 150-year-old park. 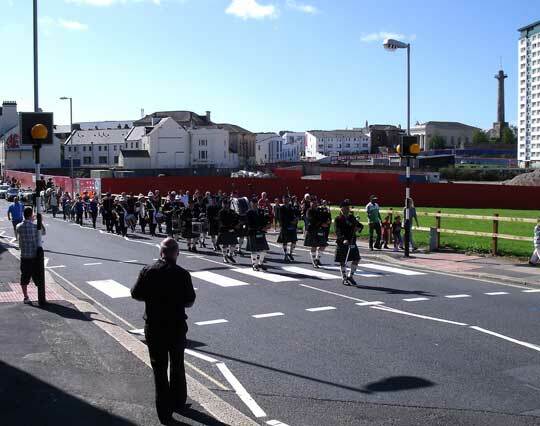 There was no procession this year, but as a first attempt the feedback was glowing and residents, from both Stoke and Devonport, wanted more. Building on the success of the 2006 event the Friends of the Park held similar events in the following summers. 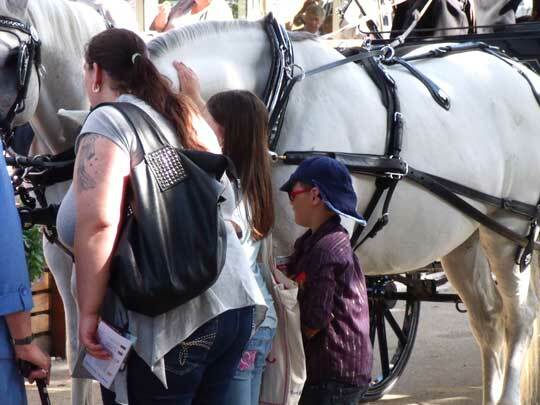 The open-days aimed to encourage more people to use the park as a focus of community life with music, sports activities, carnivals and guided walks - and each year it grew, in both activites/displays and in numbers attending. 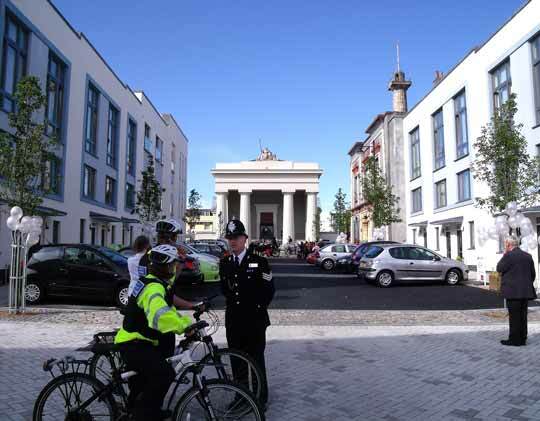 In 2011 the £5.3 million restoration project was complete. 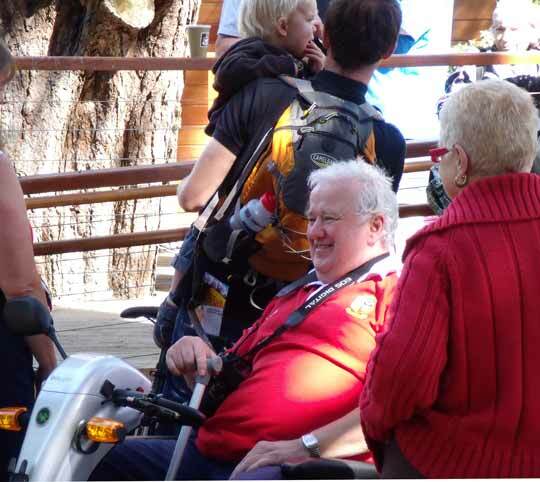 Much work was carried out between 2006 and 2011 and the park now looks stunning, with several new facilities. 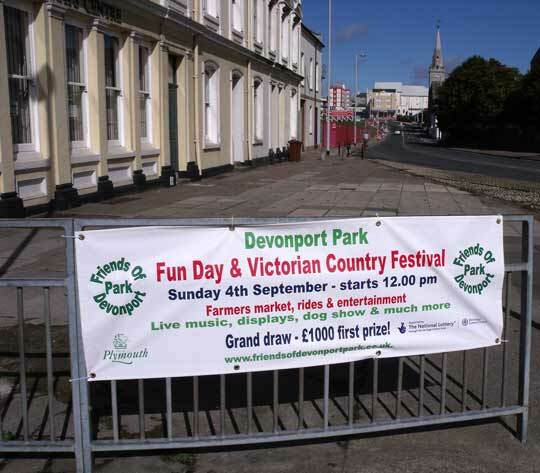 The Friends celebrated with an official reopening of the park; the event was held on 4th September and named 'Devonport Park Fun Day and Victorian Fair'. 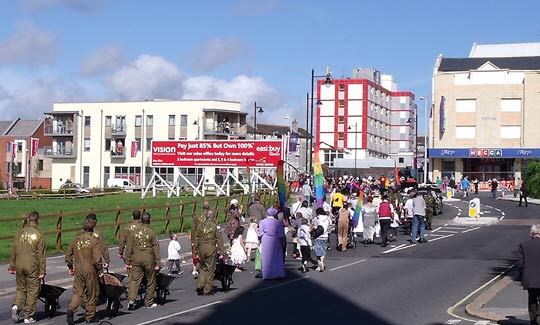 This year the celebrations included a proper, full-blown, procession. 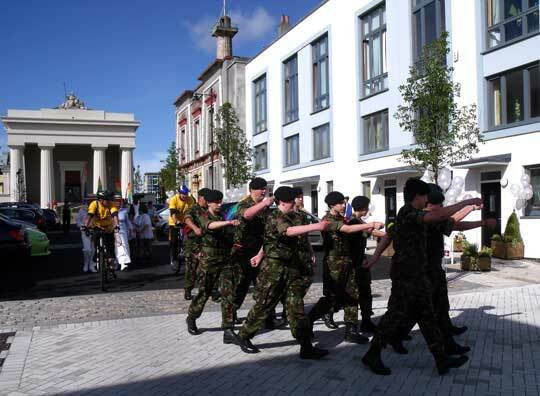 The procession started from the recently restored Devonport Guildhall at 10.30am and proceeded through James Street, Clowance Street, straight up through George and Chapel Streets, around Granby Green, then on through Fore Street and finally passing through the new park gates in lower Fore Street. 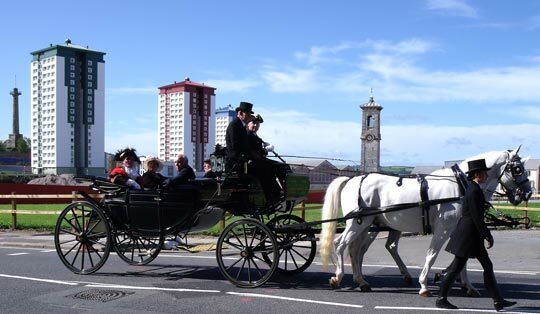 Followed by a horse drawn landau carrying the Lord & Lady Mayoress. 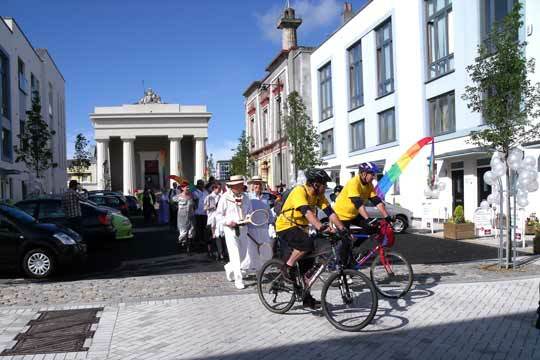 Followed by various support groups including a dance-troupe, cyclists and the park gardening team. 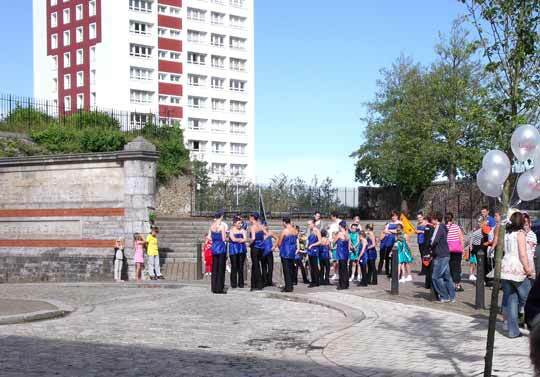 Events in Devonport Park started at 12 mid-day and finished at 6pm. 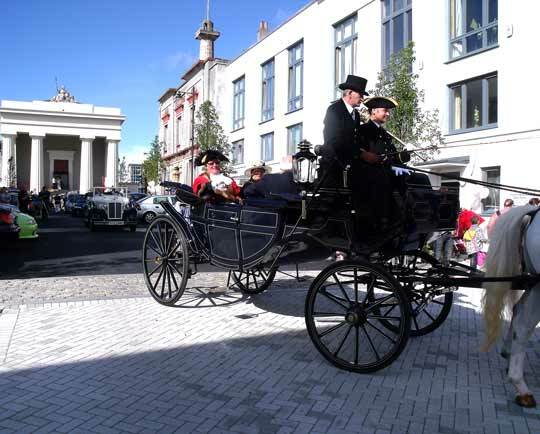 The day included a range of children’s activities, Victorian fairground rides, "country" themed stalls, food and drink, displays, and live music. Other activities included a farmers market and petting zoo. From 7pm there was an evening's entertainment and buffet in the new Park Pavillion Cafe. 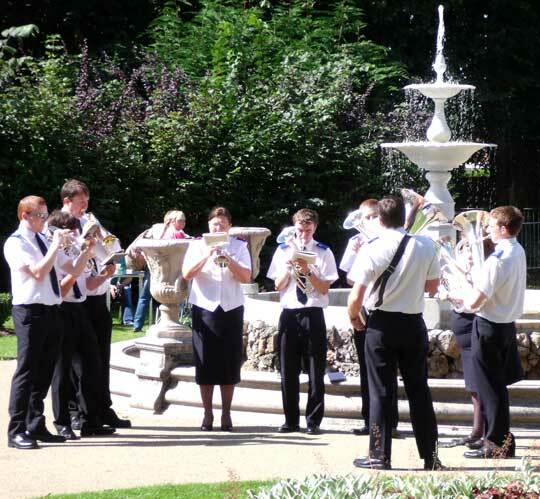 All ticket receipts went to the Bandstand Restoration Fund. Below are some images of the day's events taken by Danny Cook (these are low resolution for the web, if you'd like a high resolution copy of one just send an email). 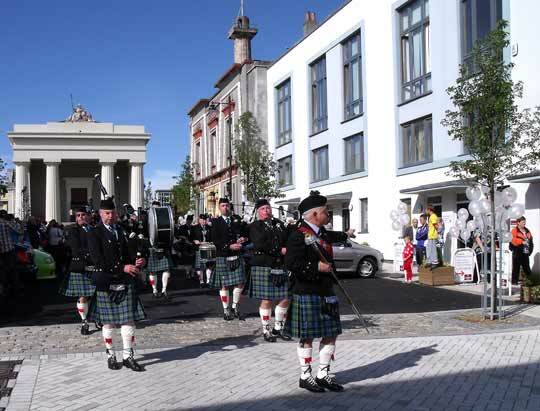 Setting off from the Guildhall, Ker Street, taking the lead is the City of Plymouth Pipe Band. Setting off 2 -Lord and Lady Mayoress. Setting off 3 - trainee soldiers. Setting off 4 - cyclists representing the Plymouth Cycling Campaign. Processing up Chapel Street 1. Relaxing to music in the Rose Garden, outside of the Higher Lodge. 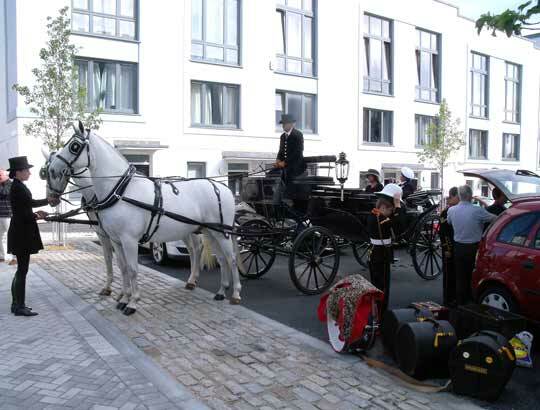 Everybody loved the horses that took part in the procession. Having fun - thousands of people attended the event.